This is "THE" reference for access control systems. 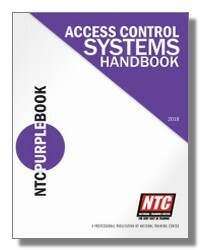 The NTC Purple Book is a great reference to find answers to those difficult access installations. 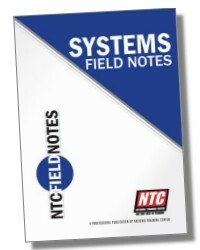 It is a great training manual for new employees. It works very well to help sales people gain technical competence. It really works to help technicians solve the challenges which arise during installation. Access control systems are becoming "standard" for most commercial and industrial applications. Building owners and designers are looking for single source providers. The NTC Purple Book provides the bridge to meet the needs of your potential clients.